Looking for a book to read during a trip to the beach this summer or a novel to dive into on a lazy Sunday afternoon? 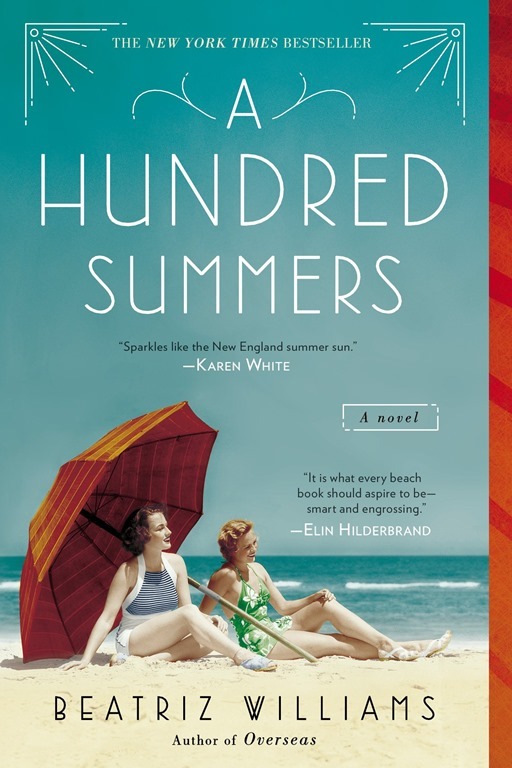 Today’s post features 10 books to read this summer and includes everything from intense, suspenseful thrillers to breezy beach reads. I love reading year-round but there is something about reading in the summer that is my all-time favorite. Perhaps it’s because feeling the sun on my face as I flip through pages of a suspenseful novel feels somehow relaxing and rejuvenating at the same time. Or maybe it’s because summer feels like the perfect season to dive into that light and breezy beach read? Whatever it is, summer and reading go hand-in-hand for me and today I wanted to share 10 books I have on my personal summer reading list! If you are looking my previous book recommendations, you can always check out my Books page which is constantly updated with books I’ve read and loved and last year’s Summer Reading List blog post features 10 of my favorite reads as well! The summary below each book is from Amazon, though I’ve provided a little insight into why I selected each book above the summary in the “My Notes” section. My note: This book was highly recommended by a number of you guys on a previous Things I’m Loving Friday blog post! My mom also recently finished this one and said it was intense so it’s definitely on my radar. Anne and Marco Conti seem to have it all—a loving relationship, a wonderful home, and their beautiful baby, Cora. But one night when they are at a dinner party next door, a terrible crime is committed. Suspicion immediately focuses on the parents. But the truth is a much more complicated story. Inside the curtained house, an unsettling account of what actually happened unfolds. Detective Rasbach knows that the panicked couple is hiding something. Both Anne and Marco soon discover that the other is keeping secrets, secrets they’ve kept for years. What follows is the nerve-racking unraveling of a family—a chilling tale of deception, duplicity, and unfaithfulness that will keep you breathless until the final shocking twist. My note: I am such a big fan of Liane Moriarty’s novels (The Husband’s Secret and Big Little Lies were two of of my all-time favs) and cannot wait to dive into her latest novel. I love the way her books are always incredibly intriguing but light enough to make them the perfect beach read. My note: I already have this one downloaded on my Kindle! With 1,400+ reviews and the majority of them 5-star reviews on Amazon, I have high hopes for this book! Rachel Jenner is walking in a Bristol park with her eight-year-old son, Ben, when he asks if he can run ahead. It’s an ordinary request on an ordinary Sunday afternoon, and Rachel has no reason to worry—until Ben vanishes. Police are called, search parties go out, and Rachel, already insecure after her recent divorce, feels herself coming undone. As hours and then days pass without a sign of Ben, everyone who knew him is called into question, from Rachel’s newly married ex-husband to her mother-of-the-year sister. Inevitably, media attention focuses on Rachel too, and the public’s attitude toward her begins to shift from sympathy to suspicion. My note: This book popped up as a recommended read for me on Amazon and the description has me all kinds of intrigued! 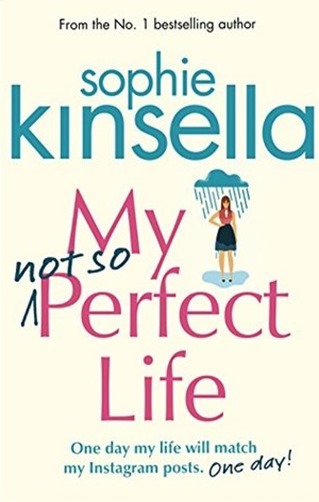 My note: I just started reading this book because I was looking for a light, easy read and love the humor in Sophie Kinsella’s writing! My note: This book sounds like the definition of a great summer read. Beachy scenery, romance, suspense. Sign me up! My note: I trust Ashley Spivey’s book recommendations – yes the former Bachelor show contestant! – because she’s always sharing great novels to check out! She messaged me about this one on Instagram after I finished reading The Kind Worth Killing and so it immediately found a place on my must-read list! My note: One of my girlfriends and I regularly share book recommendations and she raved about this one, calling it one of the best books she’s read in a long time. Susanna Miller loses custody of her eleven-month-old son, Tyler, but rather than turning the little boy over to her ex-husband and his new wife, she goes on the run. She dyes her hair, changes her name and escapes from Boulder, Colorado, leaving behind everyone she knows including Linc Sebastian, the man who has been her best friend since childhood and who knows her better than anyone. 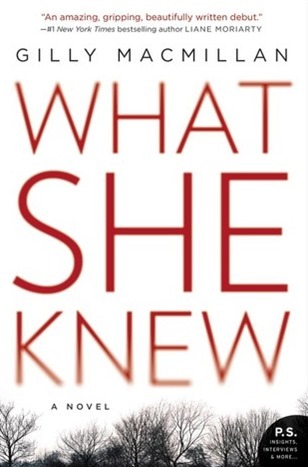 Susanna lands in Annapolis, Maryland, alone, frightened, and always looking over her shoulder for someone who might recognize her. Just as she’s beginning to feel safe in her new surroundings, she stumbles across information that could save the lives of many people . . . if she’s willing to take it to the police. But going to the authorities means revealing her identity, admitting her guilt, and worst of all, losing her son. My note: I already downloaded this one on my Kindle when it was a free download and it has tons of positive reviews (5,000+!). Reeling from a bitter divorce, Adrienne Carter abandons Chicago and retreats to the sun, sand, and beauty of Southern Florida, throwing herself into the restoration of a dilapidated old Victorian beach house. 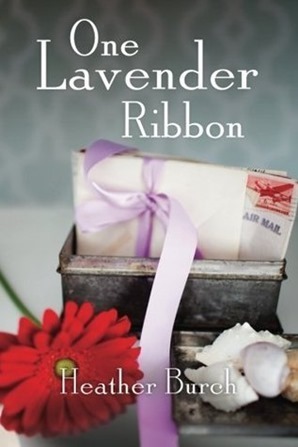 Early into the renovations, she discovers a tin box hidden away in the attic that reveals the emotional letters from a WWII paratrooper to a young woman who lived in the house more than a half-century earlier. The old letters—incredibly poetic and romantic—transcend time, and they arouse in Adrienne a curiosity that leads her to track down the writer of the letters. William “Pops” Bryant is now an old man living in a nearby town with his handsome but overprotective grandson, Will. As Adrienne begins to unravel the secrets of the letters (and the Bryants), she finds herself not yet willing to give up entirely on love. My note: Sarah Jio is one of my all-time favorite authors and this is the only remaining book she’s written that I have yet to read! Born during a Christmas blizzard, Jane Williams receives a rare gift: the ability to see true love. 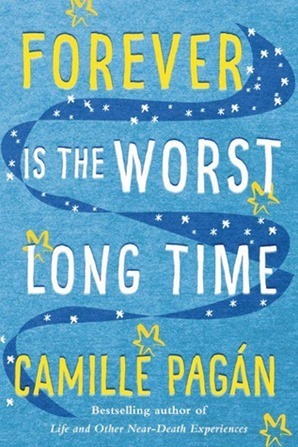 Jane has emerged from an ailing childhood a lonely, hopeless romantic when, on her twenty-ninth birthday, a mysterious greeting card arrives, specifying that Jane must identify the six types of love before the full moon following her thirtieth birthday, or face grave consequences. When Jane falls for a science writer who doesn’t believe in love, she fears that her fate is sealed. What was the last book you read that you thought was worthy of recommending? What is the next book you have on your reading list? I recently finished My Not-So Perfect Life and really loved it. On my reading list for this summer is Start-Up (currently reading!) and I’m loving anything Taylor Reid Jenkins. Thanks for putting out a summer reading list. I loved the variety and found some titles that I want to check out that I haven’t seen before. I am about to start reading The Commonwealth and We Were The Lucky Ones! I LOVE when you do book posts– we have pretty much the exact same taste when it comes to books & I’ve been reading a lot lately, so I needed some new ones! 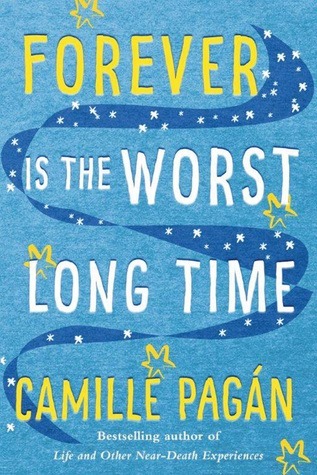 I just finished Forever is the worst long time… SO GOOD!!! I also just finished some by Colleen Hoover (Confess, November 9, It ends with Us) —> Add those to your list if you like her! I must mention The Chance by Kingsbury, Two kisses for Maddy (Memoir) & Hope Heals! I just finished reading “What she Knew” and while I enjoyed the story it was really drawn out and long. I just couldn’t wait to get to the outcome of the story. I think the author would have had a much better book if it was shortened. I’m curious to see what your take is on it. I just finished it and thought the same thing! Good but longgg. Could have easily been like 50-100 pages shorter? 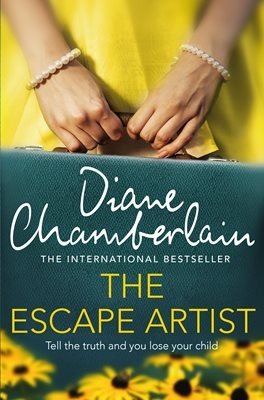 Everything I’ve read by Diane Chamberlain has been so so good. The first I read of hers was the Secret Life of CeeCee Wilkes and I loved it. Love the recommendations! BUT I have to note…the Couple Next Door was recommended to me by several friends and unfortunately, it was one of the worst books I’ve ever read. The style of writing is simple and uninspired, the plot line is absolutely ridiculous and the characters are terrible. If you’re looking for a great thriller I highly, highly recommend The Woman in Cabin Ten and In a Dark, Dark Wood. Both are great and so suspenseful! Thanks for the suggestions, I bought a couple of these tonight. Thanks for the list!! I am adding some to my amazon list now! I just finished The Best Kind of People by Zoe Whittall. Was definitely a darker read but really interesting! Was a page turner for me! Thanks for the book recommendations, Julie. I am always looking for my next good read. I just finished The House at Riverton by Kate Morton. I loved it. Another one I’d definitely recommend is A Man Called Ove by Fredrik Backman. Happy reading! I just finished A Man Called Ove. I loved it so much. I came here to recommend it. So many of these sound great– just added a bunch to my Goodreads list! 🙂 Thanks!! I highly recommend Rabbit Cake by Annie Hartnett. She’s our age, and a new author and she’s hilarious. Thanks for the list! I need to get to the library. Anyone want a good, but different book I highly recommend The Curious Charms Of Arthur Pepper, by Phaedra Patrick. Bit of a mystery, feel good, fun journey. I requested a couple of the ones you listed from the library! Can’t wait for good summer reading on my upcoming vacations! I’m always looking for book recommendations so thank you for sharing these! I’m a big fan of Elin Hilderbrand’s books as well for great, summer beach reads. Thanks for the recommendations! One book I recently read was My Sunshine Away by M.O. Walsh – very great read! Another one I enjoyed recently was The Widow by Fiona Barton. I’m also halfway through Brain on Fire: My Month of Madness by Susannah Cahalan and that’s been very good so far. You read so much! It inspires me to crack a book open more often around here. I just finished All Over the Place by Geraldine DeRuiter, and I recommend it. It was a fun read. A travel memoir of sorts, but laced with a lot of personal and hilarious stories. Just my speed. It reminded me a lot of my favorites like Bossypants, Yes, Please, and Why Not Me? On my list next is actually the Harry Potter series since I’ve never gotten through it. Haha. 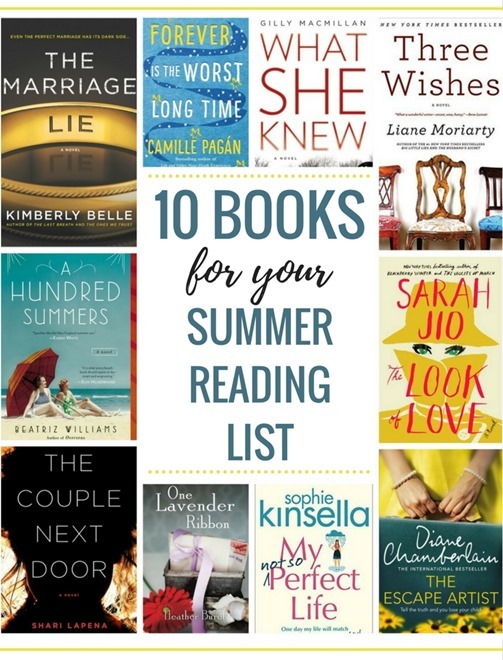 But I’m also craving a lighthearted summer read, so I’ll have to check out one from this list! I’m in a book club and for July we will be ready “Truly, Madly, Guilty” by Liane Moriarty. I have ready “My Husbands Secret” and “What Alice Forgot” and enjoyed both. Especially “What Alice Forgot”- which they might make into a movie! So we will see how this new one stacks up! 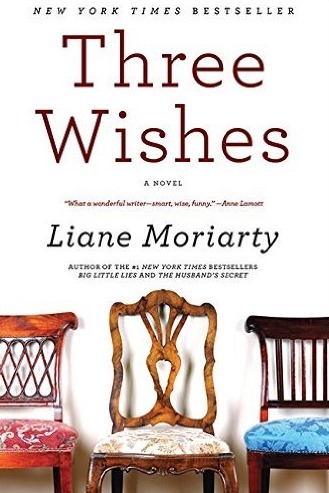 Three Wishes is great, I’m a huge Liane Moriarty fan! But I’m confused about why Julie referred to it as new?? I read it ~7 years ago? It was one of the first books I read by her! And it’s published date is 2003. Thanks, I needed some inspiration. I recently read How to Be An American Housewife by Margaret Dilloway. It’s a few years old but still good. It’s kind of a nice blend of current-day and historical fiction. I love, love, love book recommendations because I’m a voracious reader and always looking for something GOOD! These look like great picks! It’s such a bummer when you give a book a chance and it just doesn’t do anything for you, you know? So disappointing! So thanks for this list! Since you enjoyed Survivor so much, I have a recommendation that I *think* I’ve mentioned before, but if not, it’s right up your Survivor-fan alley: “On the Island” by Tracey Garvis Graves. Almost 2900 five star reviews on amazon! Gave it to two friends and they both also enjoyed it! I just finished reading Nancy Thayer’s lastest novel, Secrets in Summer. Overall, I thought it was a pretty good book and it was set in Nantucket, which is one island I’d love to visit. One of my other favorite authors, Elin Hilderbrand (who, coincidentally just released her latest novel yesterday!) also sets a lot of her novels in Nantucket and lives there herself and it sounds like such a relaxing and scenic locale. 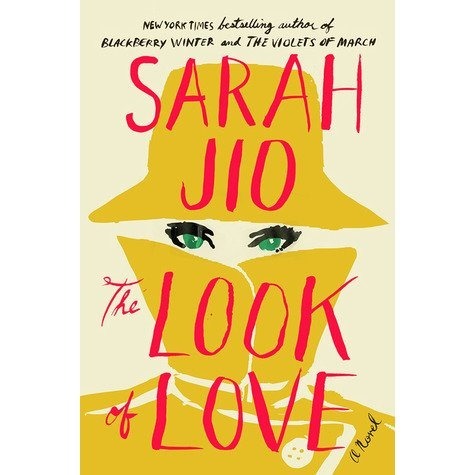 I just got the new Sarah Jio book in audiobook! I cannot wait to read it! Pachinko was a great book, if you like loooong books about families and their secrets! 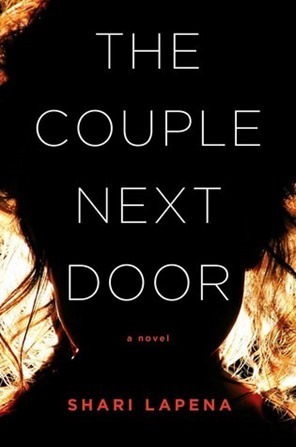 I just finished The Couple Next Door last night – I enjoyed it! UP next is “The Kind Worth Killing” from your previous post. Gonna have to grab a couple of these recommendations too! I love Sarah Jio too and The Love of Love is SO GOOD! I would say it’s up there on my favorite list by her! Thank you for all the recs! I added 8 to my GoodReads list 🙂 and put a bunch on hold! Thank you for your recommendations. Going to try making my way through them this summer as well. 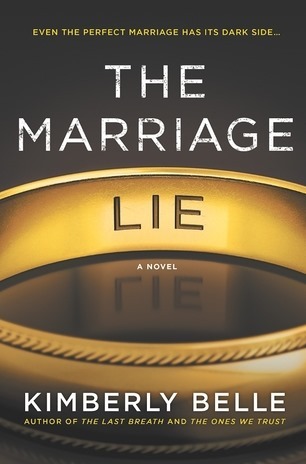 I just finished The Marriage Lie and loved it! The Boston Girl! Well written, funny and captivating but also makes you think about things we take for granted nowadays. I love Sophie K novels when I need a light read they are the best!! And the Couple Next Door is my next library read!! Julie, like your list! noted. thank you! This book exposes audiences to the surface of the real world emotions parents and first responders experience when children are lost or abducted. The quick to judge media and public create secondary trauma that often exacerbates already present, but unfounded parental and professional guilt often leading to violence. The twists and turns provide a full dimension of motives and suspects.